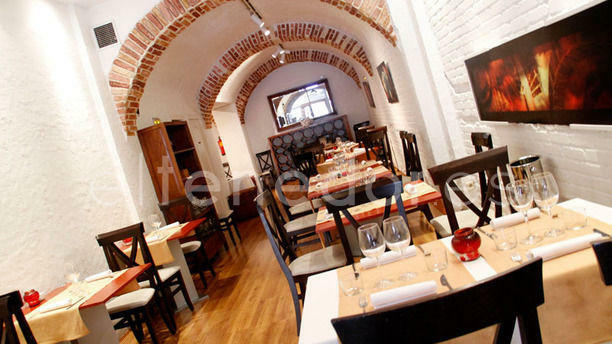 "Located in a privileged area of Madrid, Bóveda 78 restaurant presents itself as a consistent bet for Madrid cuisine. Its kitchen is committed to a creative traditional style, so it creates and innovates, without losing the flavor and texture of always. Its extensive menu offers delicacies such as the squid salad, the oxtail stuffed with mushrooms and mashed potatoes, crepes with praline of pine nuts, among others, resulting in a true feast for your senses. The atmosphere created by the restaurant is quiet, intimate and warm, accompanied by pleasant music and admirable service. Come and relax in Bóveda 78, you won't regret it."